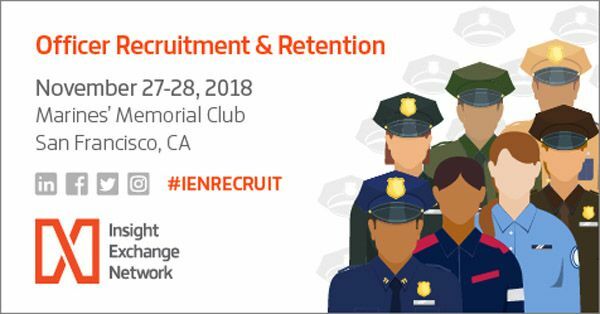 Connect with agencies from across the country via interactive sessions and prime networking opportunities at IEN’s Officer Recruitment and Retention Forum this November 27-28 at the Marines’ Memorial Club in San Francisco. From cost-effective, real-life approaches for reaching the best recruits via technology and social media to successfully managing a diverse, multi-generational police force, this highly relevant event will offer practical takeaways to help your agency address staffing challenges. We look forward to seeing you this November in San Francisco.